My sister, the Queen, will be the one to hand this to you. Please let her read it as well for some of it is for her as much as you. I remember being one of the youngest generals during the Giant Wars upon Congress. The smart people rightfully give the Queen her due for the strategies that won the war. What my band of misfits and I are attributed with is faithfully carrying out the execution of the plans and knowing what areas could be improvised when the plan had to alter on the fly, situationally speaking of course. What I hated about Overkill was how much I used to be exactly like every bad habit he had. Ever since my father was murdered by Glacialmaw, I have been striving to never be that out of control again. When I saw you I realized how strong my mother and my sister are. I was and still am very much in awe of you. I still have your cleaver from the one time you let me make you dinner. I have used it to make food for poor, rich, anyone that just needed to eat. I am writing this on the steps that lead to the Elf-Dwarf Compound in Mishala. Each of the members of CrIsis have been given a night to prepare for on the “Festival of Ra” we are in Mishala for the day and on the 22nd of Selestra we will cross the barrier between this world and the realm of Demons, Hades. Sulyott the All-Knowing today introduced us to another legendary hero, Jidian Kulder, and we were presented with a map of the dark realm that was recent and very specific about where we were to go. Only one hiccup in the plan (there’s always a hiccup), we did not know where in all of Hades we were going to arrive! No reason to fret about it now, since that issue is for the morrow. With the War of Light and Dark over I have allowed myself to think of you again and I re-read your last “missive” to me. Based on my interpretation of the words here I have bad news for you. I was made a Godling of Ra today, so I can guarantee you of only one thing: the weird shite in my life will never, ever, end. ‘Nova give her anything she wishes even if it means I never see her again. I only want for her happiness and now I know I will be poorly suited to give her what I believe she considers a normal, happy, life. Mary, if you still want me then I will try to make you happy, but if not know I just want for you to not want for anything else in this world. Even if that means finding that happiness without me. I look at the guards surrounding me and even Annie Spellborn and Kom’var Spellborn were among them as I write this. The fact I have a guard detail allowing me to write in public is more than enough proof to me that my mere presence will disrupt someone’s life if they choose to be close to me. Just so I am clear I would still love for the chance of a relationship, however, I am cognizant of the conditions you asked for and I know my life will only get crazier as any mortal would see it. If she comes to you in a rage just comfort her and feel free to toss me under the wagon. I just want her to be happy however, I am not sure the life I signed up for as a member of a pantheon can give her that. Frankly, I am thrilled for my training in the way of the Iron Wind for I see a long and lonely life in my future as the God of Valor for the Church of Light and Dark. Godling is just a term tossed around for the new divine on the block. Basically, among gods I’m the greenie – F.N.G. I’d almost consider asking Xerx’ses to resurrect Overkill, but I am not sure that would “ACTUALLY” fix anything. I had her cleaver enchanted to work in Hades and I am saving it as a special treat for someone down there, no spoilers as to whom and why. I am having a rough time currently as everyone whom as ever served in CrIsis has had. I want to tell everyone about the amazing places I have seen. Such as heaven on this world, Sekti-Abtu. The grand city of Caer Itom and my friends Zavik and the “Offical Alchemist of CrIsis, Master Gabriel. The amazing Obelisk of Osiris in Nisi. I knew when I died a statue would be made of me and if I did something grand and worthy maybe I would earn a place in the Hall of Heroes in Congress. All of the Demigods in CrIsis had golden statues now around the obelisk. 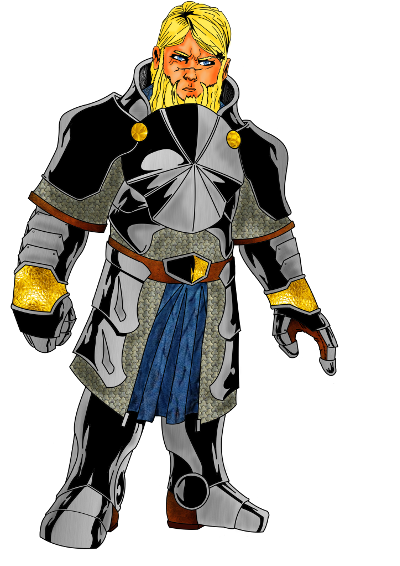 Mine however stood as tall as any of the others and was made of a solid diamond with platinum hair and gold clothing and weapons. Well my four silver throwing axes were the exception. I had never met worshipers of mine before this moment (Zavik is my friend) and I was not sure what to say . I know the Dwarven City-State of Accorak below the Timirian city of Accoroc has sworn fealty to Koris Gwaisol and gives a trade foot hold into the Timiro Kingdom. The king or Thane was there and in a rather unexpected gesture he asked me permission to open a temple for me and take him as a priest. I was for a loss of words but nodded and took his arm in a warrior’s grip as father had done to his staunch allies. I am sure you will hear that I let him hold Justice and swore a blood oath to each other cut upon the blade with the honorable Father Philip presiding over the affair. I also said that I would take no other priests or priestesses until the trip to Hades was done and Osiris the Lawgiver was restored. All that transpired betwixt our battle with ReSet on the 27th of Grekar & the 21st of Selestra which we all know is the Festival of Ra. The reason I know this craziness is only going to get worse is something Xerx’ses said to Kom’var, “They are worshiped on no less than a thousand worlds!” All of this is dust if we don’t survive the trip to Hades to retrieve Osiris’ Skull. The “Final Battle” awaits us in this quest and I am worried, however, “Valor” is facing your worry head on! Such is our fate and tomorrow we go to face it. Sent upon the 21st of Selestra – Ra’s Day, in the 2nd year of Koris Gwaisol. Glacialmaw is an awesome dragon name! Great sentiment, and I truly hope that you survive to see the aftermath of your Valor! This is the penultimate change Disvanova might see in her brother. Genuine selflessness to care for another’s happiness over his own. I hope she doesn’t decide to leave you behind. Hopefully once this is all said and done you two can actually spend some time together so she can come to realize the real you and not just the you she fears exists. Good Luck on that “final battle” Torrun. I’m sure the spirit of Overkill is with you. If the “Spirit of Overkill” is with him- then he is so totally screwed…. You have written “The Letter” that all warriors write. While it is your own and it has meaning for you and yours, we all have the same to say to ours.